The UK Government’s Talk to Frank drugs education campaign, launched online in 2003, went into the basement in December 2008 to explore the world of cocaine through the perspective of Pablo the Drug Mule Dog. 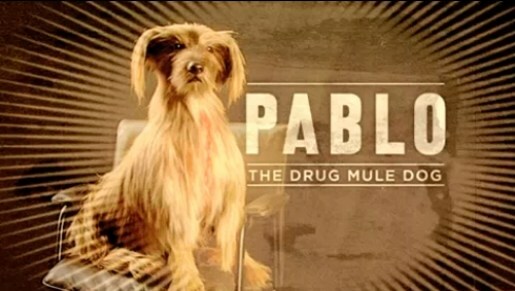 Pablo the Dog, voiced by David Mitchell, wakes up to find he’s been used as a drug mule to smuggle cocaine into the country. In an attempt to find out what led to his death Pablo interviews key players from the world of the drug – the dealer, the user, a bag of cocaine, a heart, a nostril and a bank note. The interviews highlight the addiction, heart attacks, personality changes, fear and violence involved in the process. The Talk to Frank campaign was developed at Mother, London, with agency producer Matt C. Minor. Filming was shot by director Pier Van Tijn and Johnny Burns (Big Red Button) via Hotspur & Argyle, with director of photography Ole Bratt Birkland and producer Linsey Romano. Editor was Jane Cina at Trim. Post production was done at Munky. Audio post was done at Factory Studios. The campaign won a bronze award at the British Television Advertising Awards in 2009 and was nominated for best 60-90 second television commercial.